The project has been very fortunate in having several people who have come forward with items or collections of cinema memorabilia. Volunteers through the project have helped to scan and digitize materials and a selection of which can be found through this website. Bill Morris – Bill has a large collection of cinema related memorabilia including original cinema programs, magazines and posters. He developed his love of cinema and began collecting from an early age, he has been involved in the project from the beginning and kindly brought along his collection to display at the project launch event and has digitally scanned images from his collection and uploaded them to the project website. Steve Ellison is a film and cinema historian, he has been involved in the project from the early days and has provided much background information and pieces of cinema memorabilia. 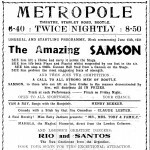 For the project launch event he kindly loaned us some of his collection of serials from the children’s matinees of the 1930′s to the 1960′s. The original batman was a great hit and had the audience cheering and booing just like when they watched as children. 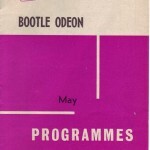 Keith Rose has an interest in Liverpool cinemas and buildings and has been researching and developing an archive of cinema images for several years. He is currently writing a book on the topic and has allowed the use of some of his archive photographs and memorabilia for the project. 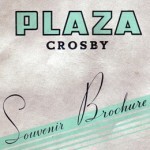 Mary Cross – had kept an original program from 1947 when the Plaza Cinema held a Starlight parade midnight matinee. She has strong memories of attending the event and remembers loaning her aunts fur stole for the glamorous occasion. Barbara Smith – Barbara had a copy of Photoplay and has provided information and photographs for the project. She was also brave enough to sing the children’s cinema song all the way through on camera for us and provided us with the words.